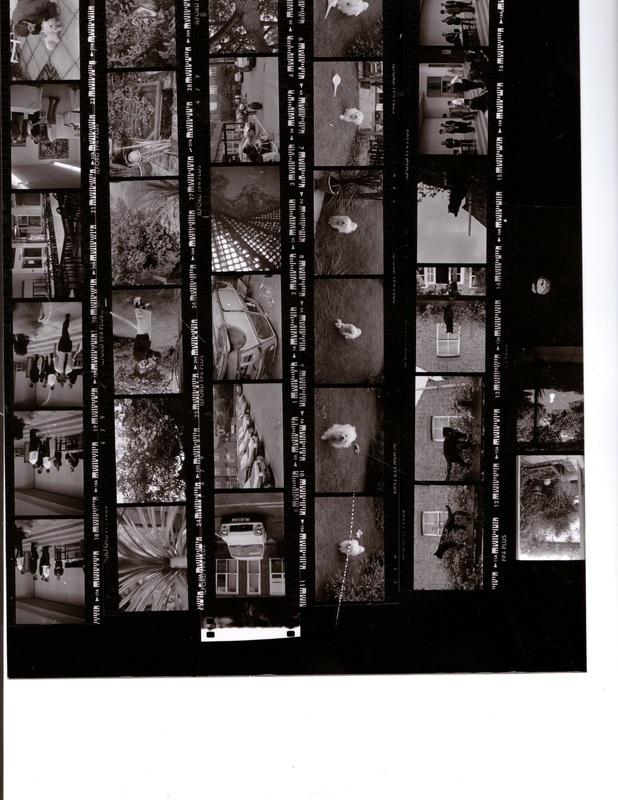 This is a positive print of all the frames on the film and made by exposing the whole film in contact with a single sheet of print paper. Each print will be the same size as the negative. As well as being an easy to file source of reference, a good contact proof shows 'at a glance' which images are not worth printing. Close inspection through magnifying loupe will repeal the quality of the negatives. 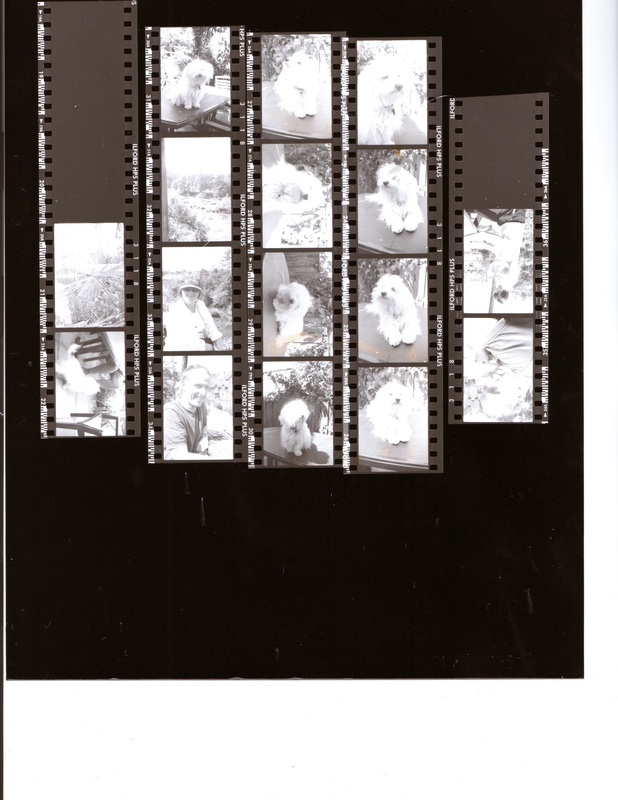 A fill 36-exposure roll of 35mm film will fit onto a 10" x 8" sheet. Use it to gain all the information you need to make the best print from each negative. Use an old slide mount or a magnifying loupe to view each frame, undistracted by and in isolation of the rest of the frames. Mark up the contact proof with wax or chinagraph pencils and circle the best images. Under the safelight illumination, insert a sheet of printing paper - shiny-side up - onto the enlarger's baseboard. Make sure the light is as bright as possible. Raise the column to obtain a good spread of light. Lay the strips of negative on the paper - matt side down. 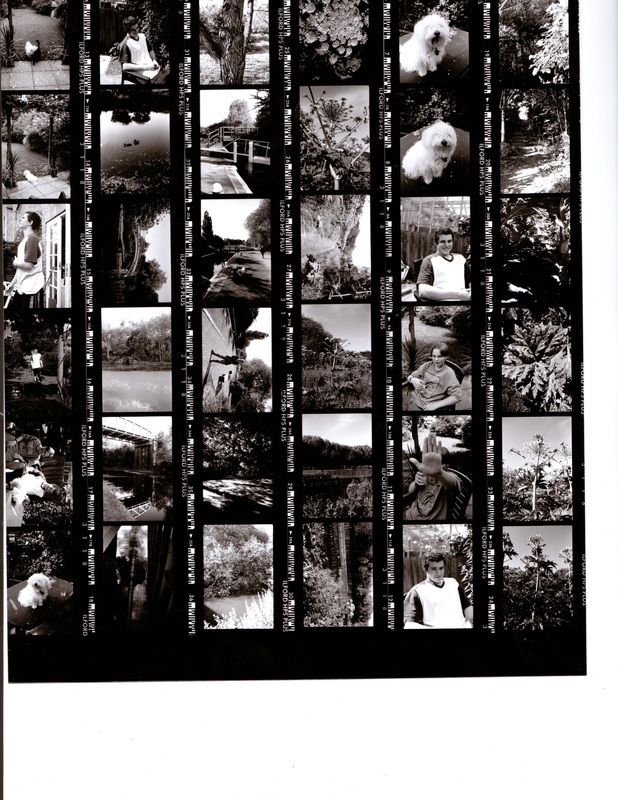 Hold the negatives flat so that they come into contact with the paper. Place a sheet of clean glass on top of the negatives. Stop the lens down three stops. Set the enlarger lens to an aperture of f/8. Make sure that the enlarger head is high enough for the light from it to cover the sheet of negatives. Expose the paper - try an exposure of six seconds.